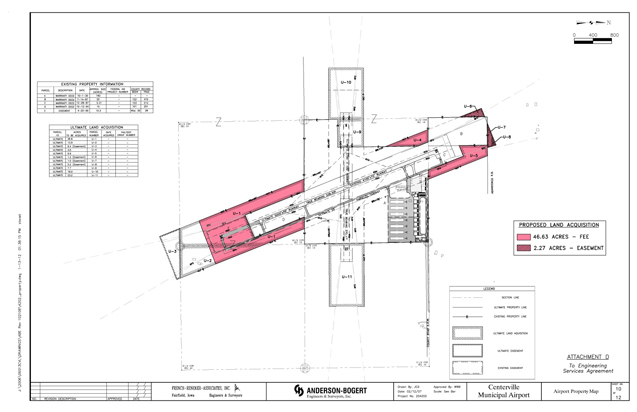 Centerville Airport Environmental Assessment – French-Reneker-Associates, Inc. This project is the initial step required to acquire the necessary property to bring the airport into compliance with the newest Federal Aviation Administration Safety Standards. The acquisition of approximately 45 acres of land adjacent to the airport is required to preserve required runway protection zones and building restriction lines. The environmental assessment included a research of existing records to determine if environmental concerns were present, wetland delineation, archaeological review, and biotic species review. This information was then compiled for review by related Federal and State agencies to determine the level of environmental impact.